Shipments of wireless power transmitters and receivers will rise to 7.5 billion within a decade, according to new figures from IHS Markit. 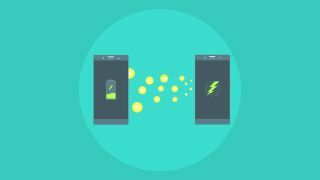 Wireless charging has been available in smartphones and other consumer electronics for several years and is included in the Samsung Galaxy S9 and iPhone X, but it is not yet considered a mainstream technology. At present, 450 million transmitters and receivers are shipped each year, but greater awareness of the benefits of wireless charging, such as convenience, and increased reliability will help drive adoption, claim analysts. Mobile phones will continue to dominate the sector, accounting for 4.6 billion of the 6 billion cumulative shipments between now and 2023, but wearables and small home appliances such as electric toothbrushes will also boost shipments. “As consumer and industry interest in the wireless power market has drifted away from mobile phones, it has moved towards wearables, medical devices, kitchen appliances, electric vehicles (EVs) and other consumer and industrial applications,” said Dinesh Kithany, lead wireless power and power supplies analyst for IHS Markit. However, adoption and consumer enthusiasm could be dampened by a lack of information about Apple’s AirPower technology, while, cost, standards development and interoperability are also cited as barriers for the industry to overcome.